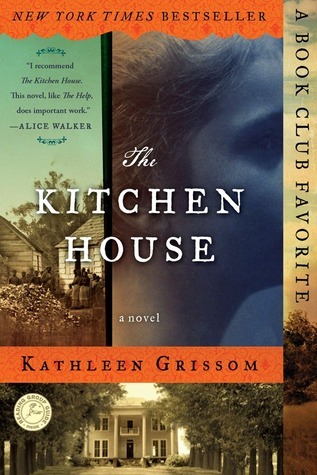 The Kitchen House by Kathleen Grissom tells the story of characters living in the 1800s; a time of indentured servitude and slavery; tough subject matter I would have shied away from had it not been for book’s glowing reviews. Sometimes I choose a book that I’m sure will be a good read, only to close its pages in disappointment when it turns out to be a 100 pager. Other times I choose not to read a book because I’m afraid of the subject matter or because I’m certain it wasn’t written for me (basing a book on its cover is naughty and unwise). The Kitchen House is turning out to be one that will be added to my list of all-time favorites despite (or maybe because of) it’s tough placement in history. The characters are well-developed. The story is beautifully written (could easily become a costume-rich screen epic). Clearly researched. Written with care and love. It’s tapped into the part of me that yearns for understanding and compassion. 30 chapters in I hope for a happy finish for Lavinia and Belle. I hope that Marshall finds a soul and that Mama lives long. Yesterday I added myself to the website called GoodReads, which allows me to put its link (along with a picture of my current read) in the widgets on my sidebar. If you scroll down you can see the box with The Kitchen House proudly displayed. Click it. Read it. You will not be disappointed. Are you on GoodReads? Have you read The Kitchen House? You are currently browsing entries tagged with The Kitchen House at Running in Mommyland.